Aviation Updates Philippines - The Philippine Air Force has received two of its twelve ordered FA-50 fighter jets earlier today at the Clark Air Base, Pampanga. 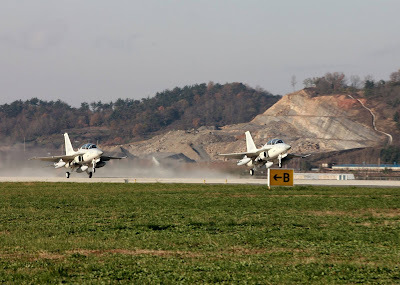 The two FA-50 aircraft departed from Sacheon on Friday morning. SUPERSONIC JET. 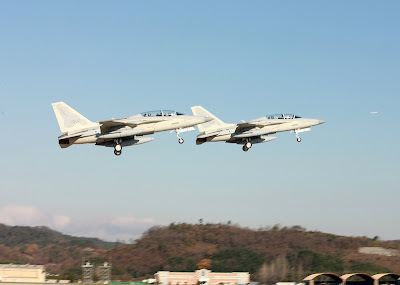 An employee watches PAF001 or FA-50 no. 1 as it taxis towards its assigned parking bay. 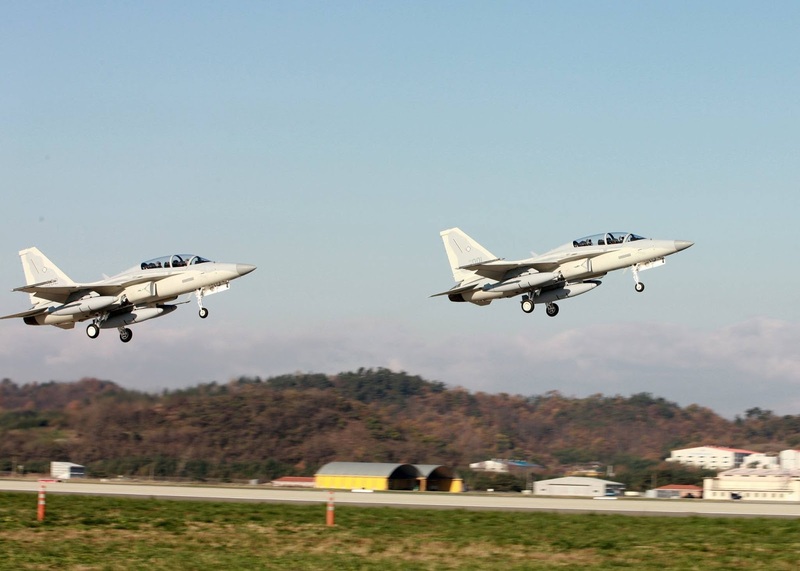 The Philippine Air Force ordered a squadron of these jets. The first two arrived today at Clark, Pampanga. Photo by Philippine Air Force. 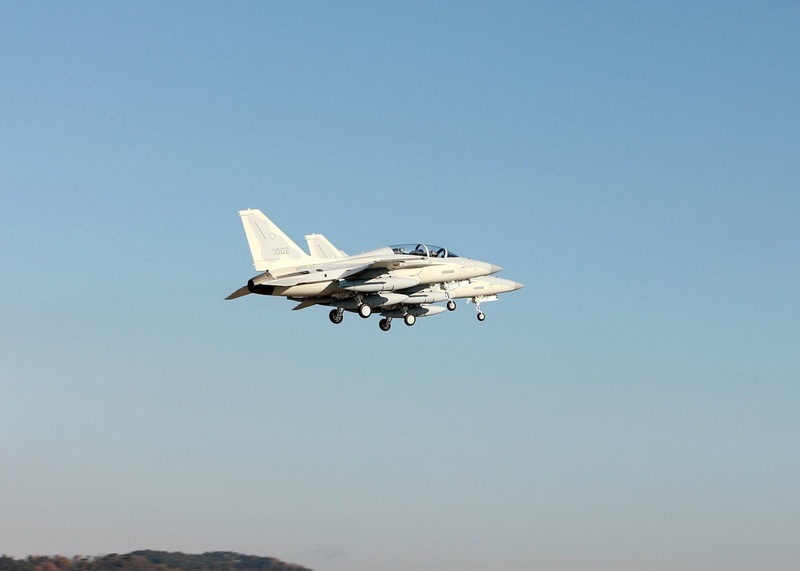 “We’re glad we’re finally back to supersonic age,” Defense Chief Voltaire Gazmin said. Gazmin together with the Armed Forces of the Philippines chief Gen. Hernando Iriberri led the arrival ceremony. 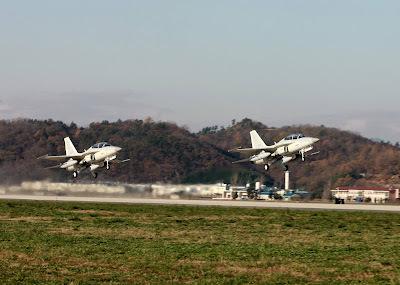 To welcome the two FA-50 aircraft, the Philippine Air Force flew its S-211 military trainer aircraft in a diamond formation together with the two new jets. 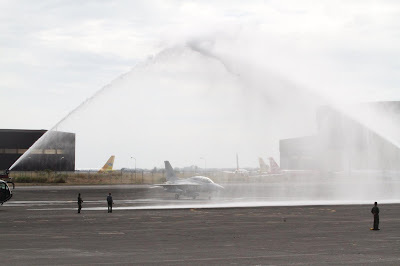 As it landed, the two jets were welcomed with a water canon salute - a tradition that is usually practiced for welcoming new aircraft. Before it arrived in Clark today, Eagle One and Eagle Two (the call sign chosen by PAF for its FA-50 jets) made a fuel stop over at the Kaohsiung International Airport in Taiwan. The delivery flight was delayed due to bad weather conditions. 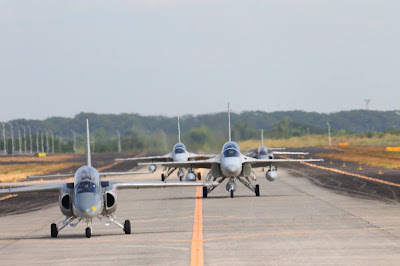 With the arrival of these jets, the Philippine Air Force is now back at the supersonic jet age. 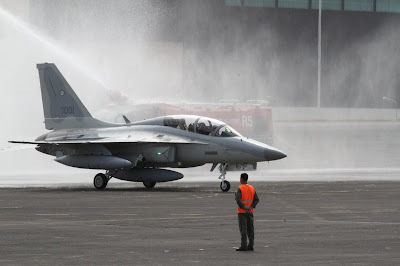 PAF retired its last few remaining Northrop F-5 Freedom Fighter from the United States of America in September 2005 that marks the exit of PAF at the supersonic jet age. “We are very much elated and very proud that we now have this state-of-the-art aircraft. 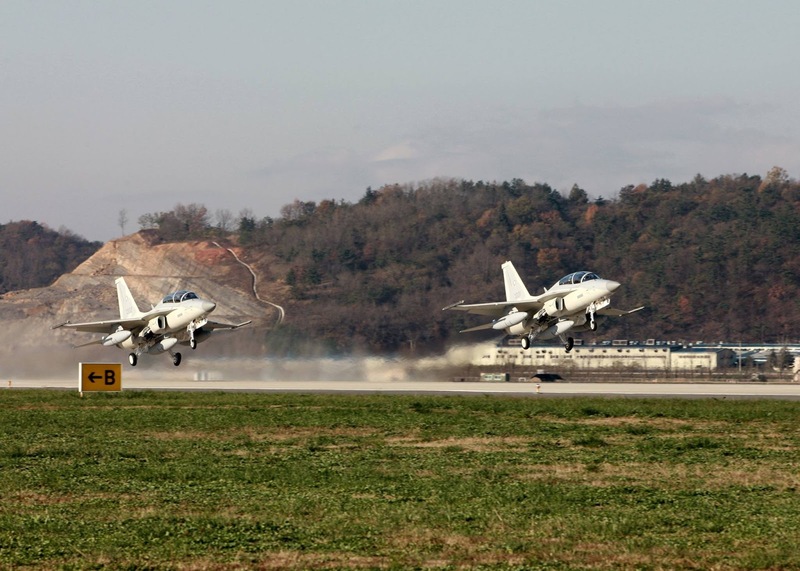 We’ve flown a push pull cable, subsonic aircraft – the S-211. 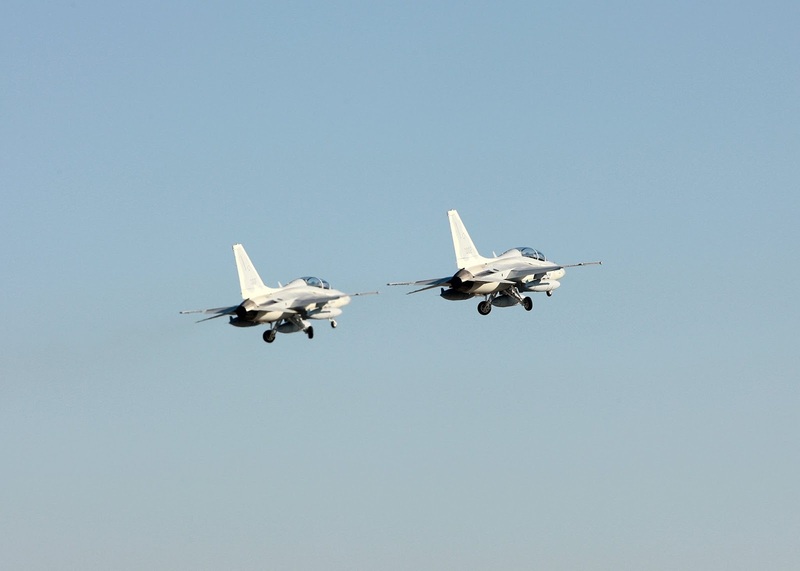 Now that we have the FA-50s, it usher in a new history, so flying, going back, returning to the supersonic age so to speak,” said Lt. Col. Rolando Condrad Peña III. 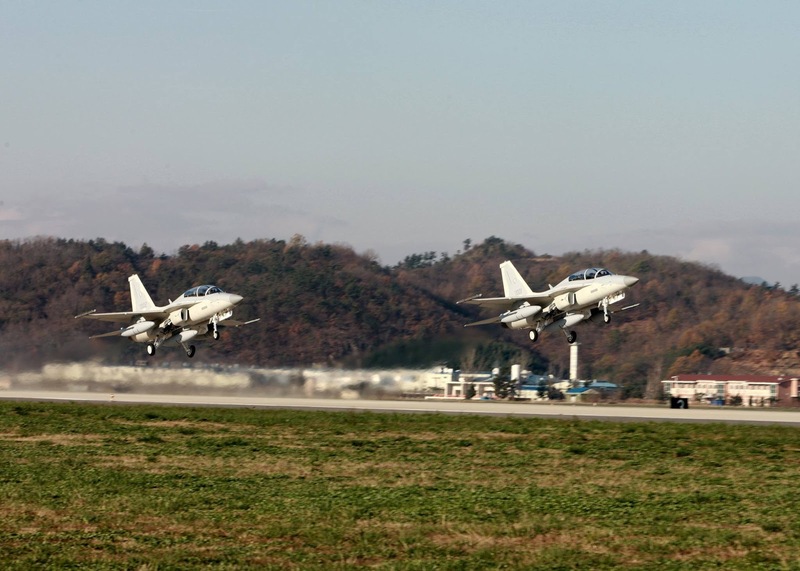 “The aircraft is a lead in fighter trainer so it is a light attack aircraft. It can do light multi-role missions but primarily it is a lead in fighter trainer. This is going to be a transition platform for us, from flying the subsonic S-211 to the more advanced multi-role fighters we’ll be acquiring,” he added. Ten more KAI FA-50 Golden Eagle will arrive between 2016 and 2017. All aircraft cost the government P18.9 billion or $401.6 million. 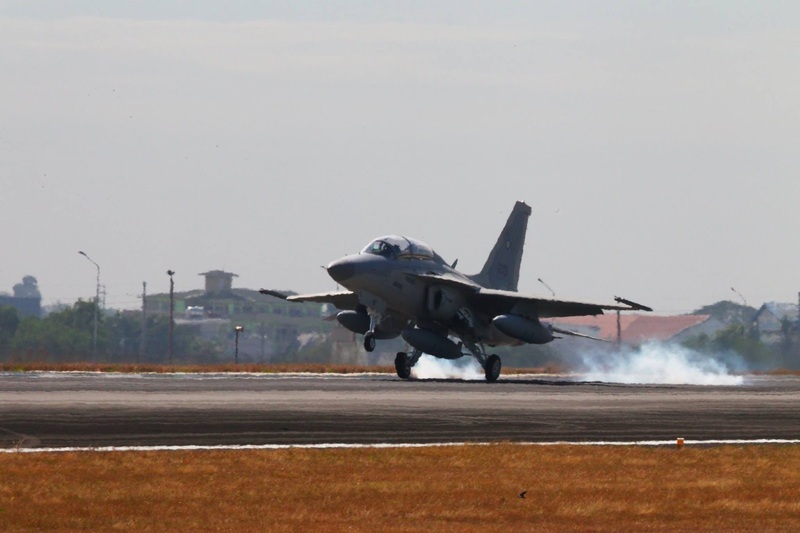 It is one of the two projects "funded from the P85-billion ($1.806 billion) initial fund provided by the administration of President Benigno Aquino III under the Revised Modernization Program of the Armed Forces of the Philippines," Rappler said. Photos provided by the Philippine Air Force. 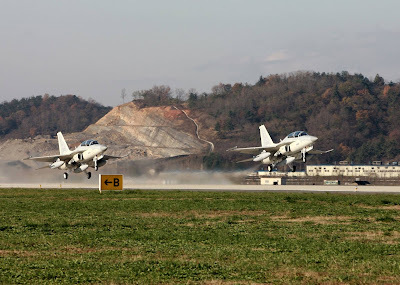 Do you have any photos about these wonderful FA-50 jets? Contact us through our e-mail address at aviationupdatesphilippines@yahoo.com or post it on Twitter or Facebook. Your photo will be featured in our Twitter and Facebook pages.